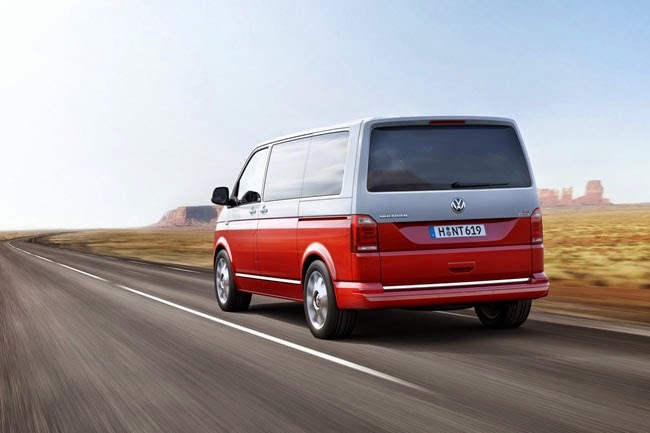 Here's all-new T6 Transporter Van its will offered in 2016 by Volkswagen, yes this sixth generation of the Type 2 commonly known as VW Bus or VW Microbus in US. Its looks like same as the T5 its predecessor, it's just a facelift to me, doors, interior are pretty much the same. 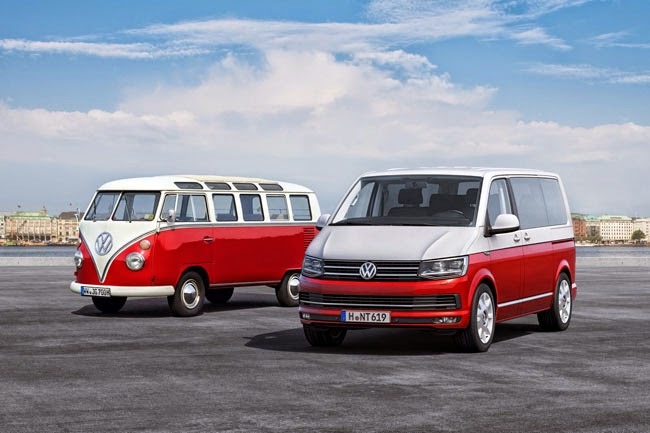 Volkswagen has retaining the same footprint and boxy-silhouette and only refreshes appearance with sharper exterior lines and details like the available LED headlamps and rear lights, also modernized in styling and tech features added to its interior. Passenger vehicles lineup comes with infotainment system, 6.6-inch center console screen mirroring. New ACC (Adaptive Cruise Control) front assist area monitoring system. New DCC (Dynamic Cruise Control) adaptive chassis control system, that offers three driving modes (comfort, normal and sport). 83hp, 101hp, 148hp and 201hp. 2.0-liter turbocharged gas engines, available two choices 148hp and 201hp. 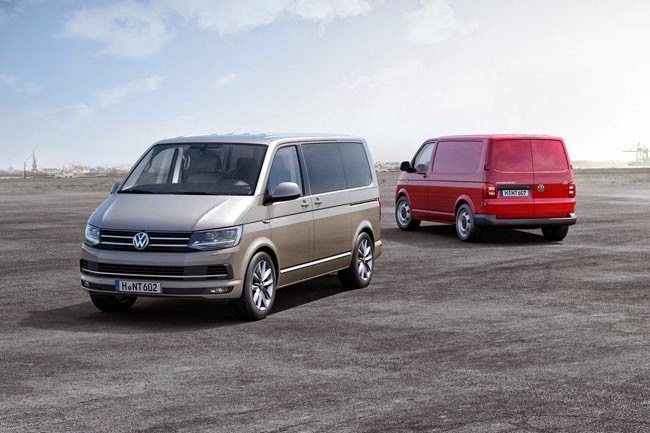 As with its predecessors, Volkswagen to offer plenty of different versions of the van. 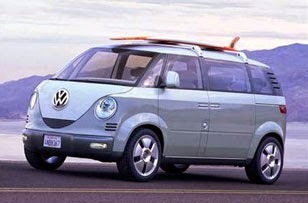 The new 2016 VW Microbus available for commercial (cargo), passenger and recreational (campervan) purpose. 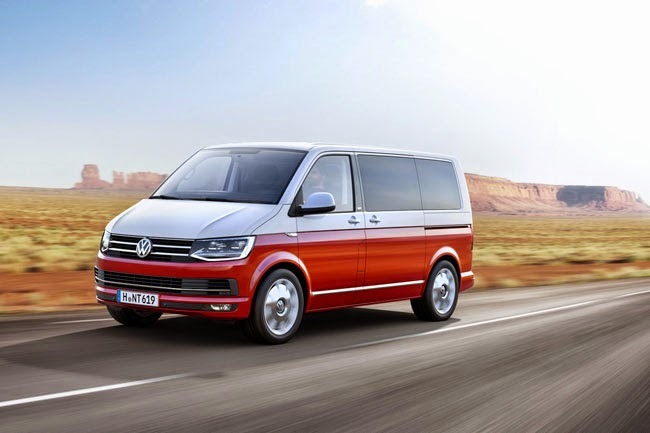 To celebrate the birth of the new T6, Volkswagen will offer a limited edition called "Generation SIX" comes with two-tone colors exterior and interior and much more upgraded such as 18-inch "Disc" alloy wheels, a standard comfort and safety features.